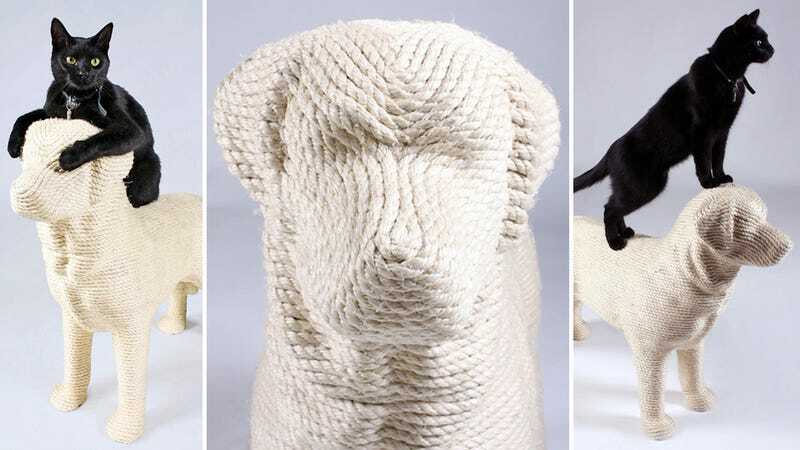 It's almost like a canine effigy, but instead of being burned in the public square, it will slowly be torn to shreds in someone's living room by a cat who probably doesn't even realize what it's supposed to be. It's also $600, and for that much money you might as well just buy another couch that your cats can rip to shreds, instead of adding fuel to the fire of this pointless debate. Because as everyone already knows, goldfish are the better pet anyways.